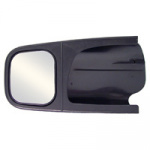 Improve your safety while towing your trailers. 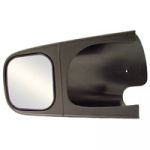 CIPA's Custom Towing Mirrors were designed to fit over standard factory rearview side mirrors, and are available in over 40 exclusive applications to fit a variety of popular truck and SUV models. 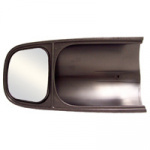 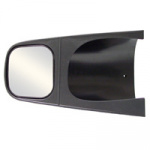 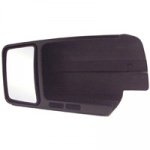 The CIPA Custom Towing Mirror is durable, aerodynamic, and sleeve fitted to your vehicles specifications. 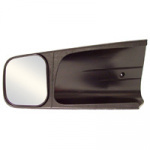 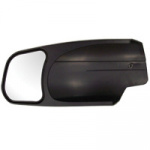 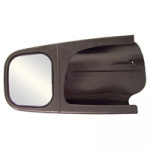 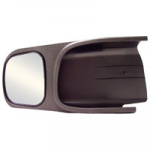 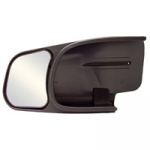 These mirrors will slide snugly over your vehicle's existing rearview side mirror, and features an additional adjustable mirror on the outboard end that extends your towing vision, without obstructing your existing vehicle mirror. 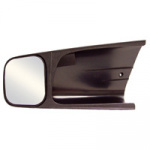 No tools are required, and no marks or holes are left on your vehicle.